At last, a coneflower that's not purple!!! This brand new selection sports electrifying orange flowers with a prominent, brownish central cone. Their nice wide petals are slightly reflexed and overlap, giving the blossoms a full, substantial presence. Plant this one up close where you can enjoy its delightful rose-like fragrance. 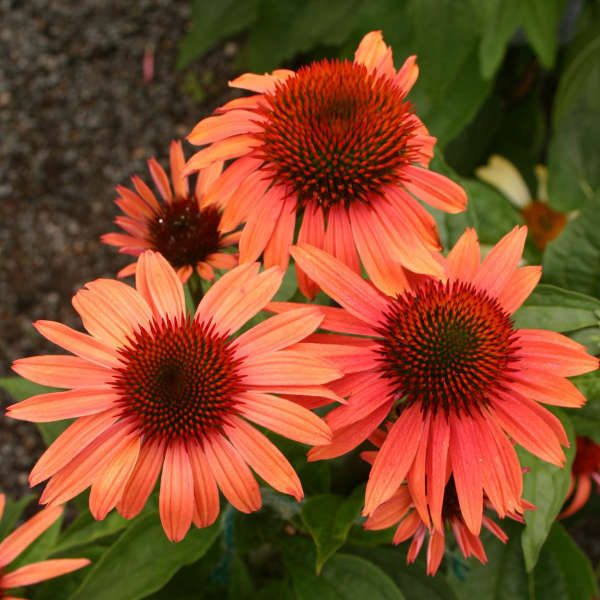 This new BIG SKY™ series of echinaceas comes from Itsaul Nurseries in Atlanta, GA. The Saul brothers, who own the company, are going CONE CRAZY™!!! They have introduced two coneflowers: 'Sunset' PP16424 and 'Sunrise' PP16235. 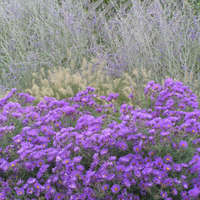 These new selections are the result of crosses between E. purpurea and E. paradoxa. 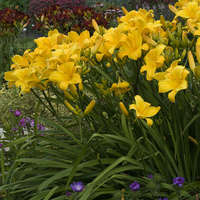 They have inherited the dominant characteristics of E. purpurea, having fuller, toothed leaves and wider flower petals. 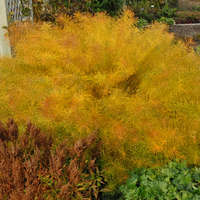 They are well-branched and are vigorous growers.